Contrary to common belief, piranhas do not only eat live food. In fact, they do not only eat meat. 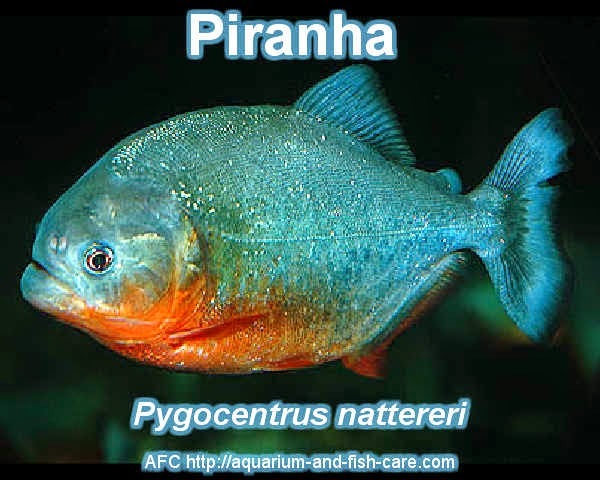 Piranhas are omnivores, which means that they can eat just about anything (meat as well as greens.) It is important to keep your piranha's diet varied. Piranhas can be taught to eat dead food. When feeding your piranha dead food, it might be best to splash it around a bit (to mimic live behavior) just long enough to grab your piranha's attention. When feeding your piranhas live food, it's extremely important to understand the risks involved. Many of these feeders are in poor health, and can carry diseases which may pass on to your piranhas. Make sure to quarantine any live feeders before feeding them to your piranhas. TURN OFF THE LIGHTS FOR A COUPLE OF DAYS. Piranhas do not like the light much. They come from murky waters so turning down the lights will help reduce their stress. TURN UP THE TEMPERATURE SLIGHTLY. Doing this will help stimulate your piranha's appetite. Be careful not to over-do it though. 1-2 degrees should be fine. MAKE SURE TO GIVE YOUR PIRANHAS ENOUGH PLACES TO HIDE IN YOUR TANK. Not doing so will leave your piranhas feeling exposed, and this will only prolong the settling down period. The most important thing you can do is to give it time. Piranhas will not starve to death, so try feeding it a bit every once in awhile. 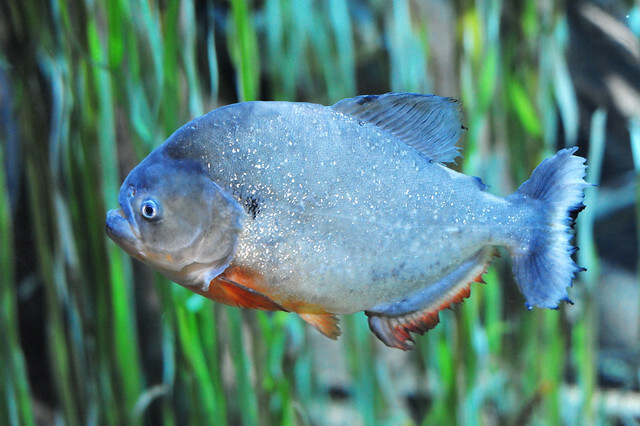 After a certain period of time, your piranhas will get used to their new home and begin to feed normally.